But in 2017, the reverse rings true. Indeed, a fashion designer has a very identifiable style that can translate to a global audience. So it makes sense that developers would partner with designers to help their buildings stand out. It’s not a huge leap from tailoring clothing to tailoring a home. Big fashion brands are so elastic. They’re not going to stop at jewelry and cosmetics. If they put their name on a tangible, high-value asset like real estate, that’s making a statement. 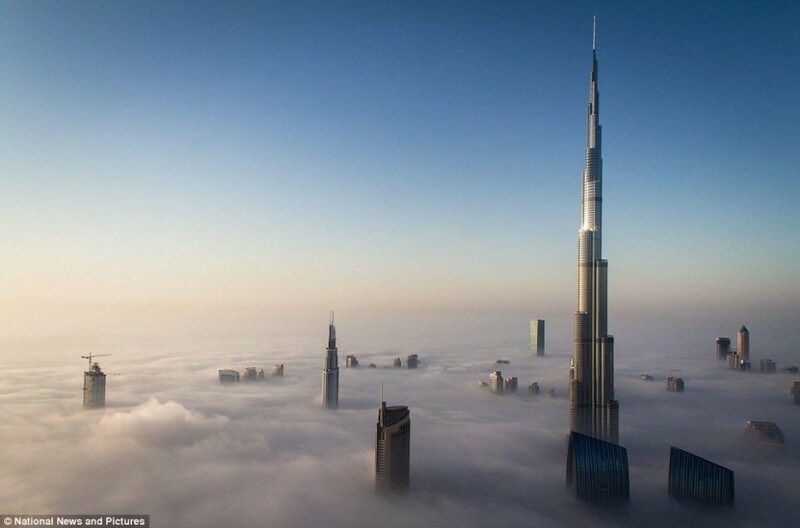 The tallest building in the world, the Burj Khalifa has now become synonymous with the image of Dubai worldwide. Influenced by a desert flower, the building is the centre of the city’s Downtown skyline and has received several accolades and is known as a serial record-breaking tower. As a residence, the Burj Khalifa has been home to several celebrities, both local and international. Housing over 900 residences from studios to four bedroom suites, this spot is truly in the centre of now. The Burj Khalifa tower is the world’s tallest structure. The 280,000 m2 reinforced concrete multi-use tower is utilized for Retail, a Giorgio Armani Hotel, Residential, and Office. The goal of the Burj Khalifa is not simply to be the world’s highest building; it’s to embody the world’s highest aspirations. Designers purposely shaped the structural concrete Burj Khalifa—“Y” shape in plan—to reduce the wind forces on the tower, as well as to keep the structure simple and foster constructability. Sustainable Design The Burj Dubai, currently the world’s tallest building, is the centerpiece of a large scale mixed use development comprised of residential, commercial, hotel, entertainment, shopping and leisure outlets with open green spaces, water features, pedestrian boulevards, a shopping mall and a tourist-oriented old town. The design for the 270,000 square metres tower combines historical and cultural influences with cutting edge technology to achieve a high-performance building that will set the new standard for development in the Middle East and become the model for the future of Dubai. When designing the Burj Dubai, the design team looked to the sky for sustainable elements. In the extreme hot and humid climate of Dubai, the temperature between the ground (46.1ºC or 115 ºF) and the top of the building (38ºC or 100ºF) can vary up to 8 ºC (or 15º F). Satellite data was used to predict the humidity drop with altitude (up to 30% reduction in humidity between the top and bottom of the building), and analysis was performed to study the air density drop up the building (up to 10%). To reach your apartment at the Burj Khalifa you may need to take more than two elevators but there are 58 elevators and the fastest elevator is the fastest in the world. Switching elevators seems little complicated and time consuming at first but it is not as much you are thinking. Most of the time it is matter of less than 5-10 minutes. Most of the residents at the Burj Khalifa tend to upgrade their apartments to reflect their own personal style and obviously have a luxurious German Kitchen with all the latest appliances is a top priority. 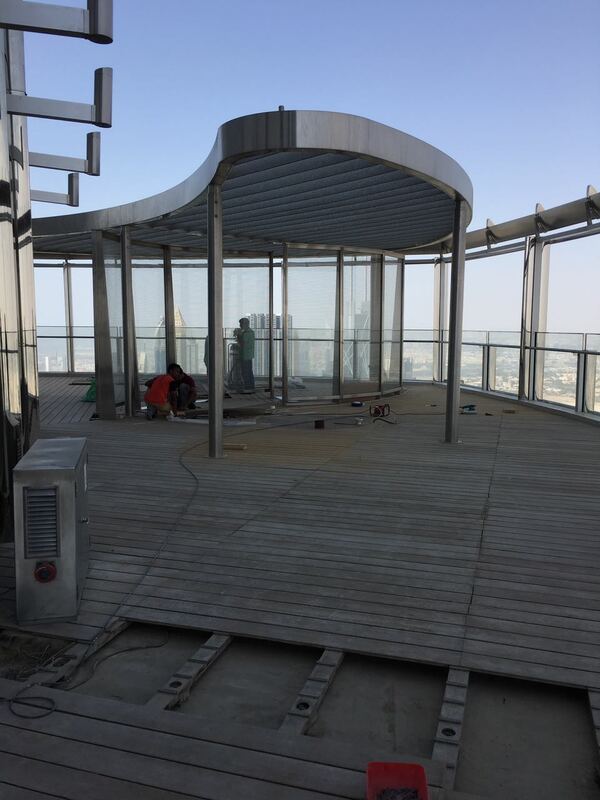 It’s always exciting to receive a design brief for a Burj Khalifa kitchen- the celebrity clients, the stunning site visits and the opportunity to design a stunning kitchen with all the latest bells and whistles. 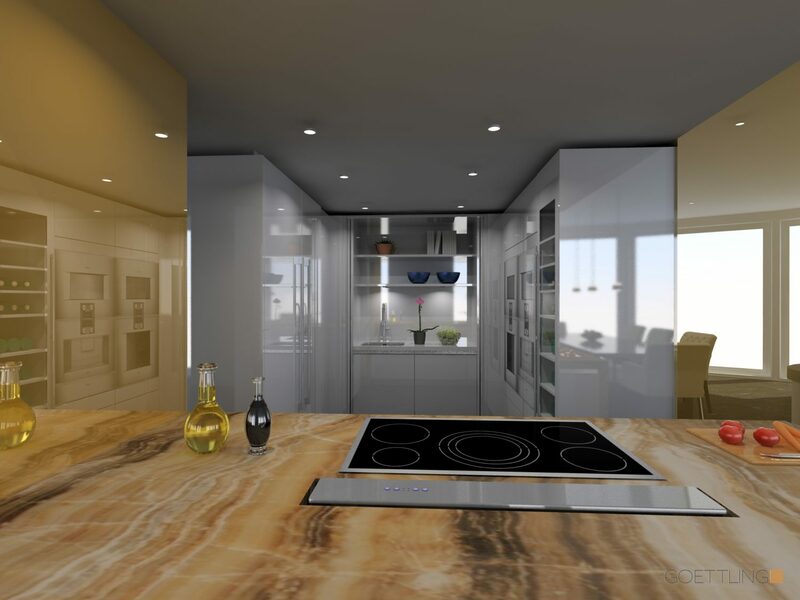 The team at Goettling Interiors work with top residential interior design & Luxury Real Estate firms and provide a turn-key solution for a well-planned kitchen that is luxe and functional. 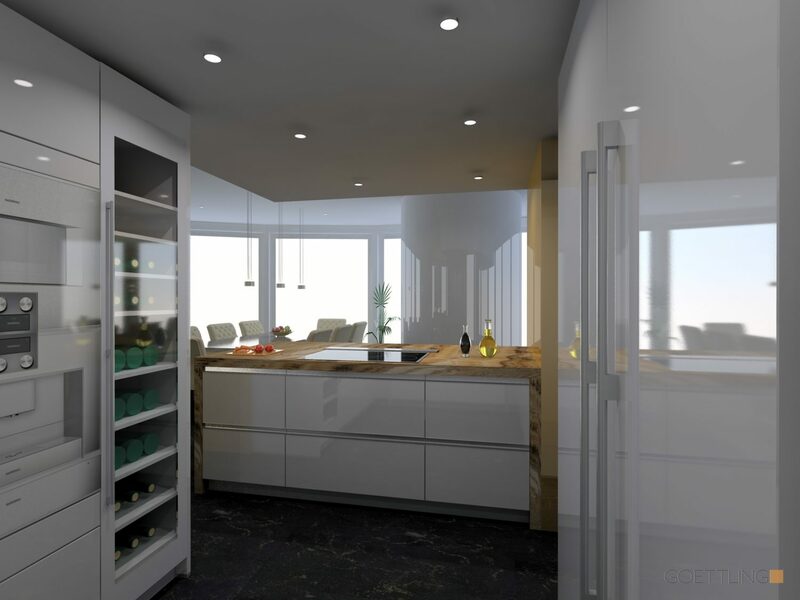 Our kitchens arrive in 8 weeks from the time an order is placed and we look after every millimeter of detail so that the client receives a sophisticated product with seamless design and customer service. Have you recently purchased an apartment in Burj Khalifa and planning for a full renovation? If yes, call us at 044270568 or visit www.goettling.me for more details.